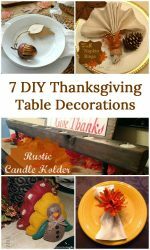 I love Thanksgiving because it means an entire day of hanging out with family and friends and eating good food! 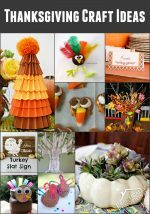 This year, why not add a little crafting to the mix as well?! 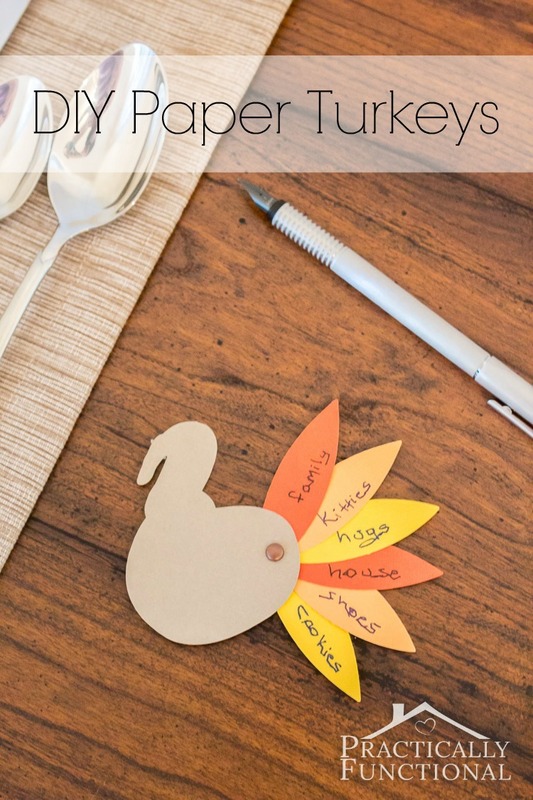 These adorable little turkeys are quick and easy to make, and they’re such a cute way to express what you’re thankful for! 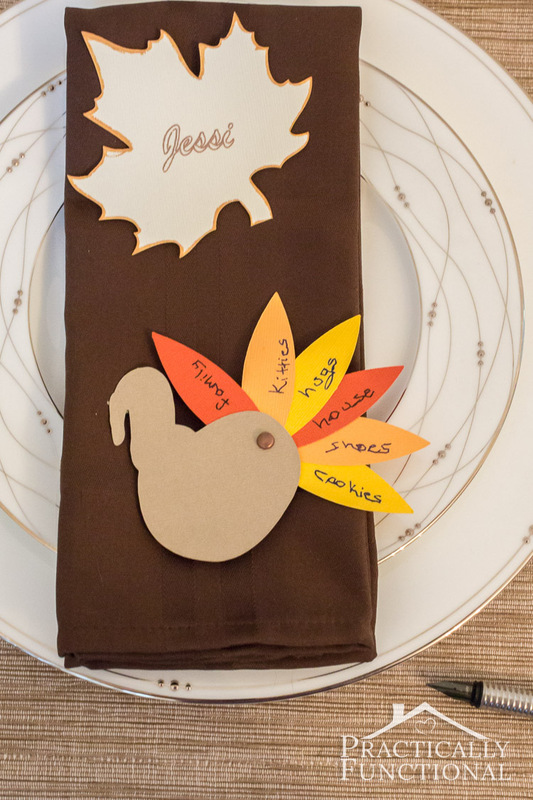 Plus, these paper turkeys can double as place cards if you’re having a bunch of people over! 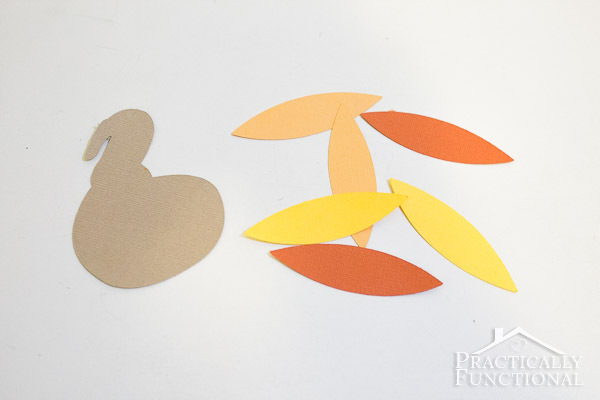 If you’re looking for Thanksgiving crafts for kids, these paper turkeys are perfect! 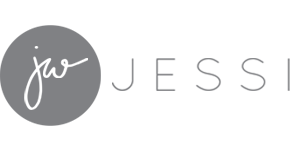 And I’ve provided a free printable template below so you can easily make your own! 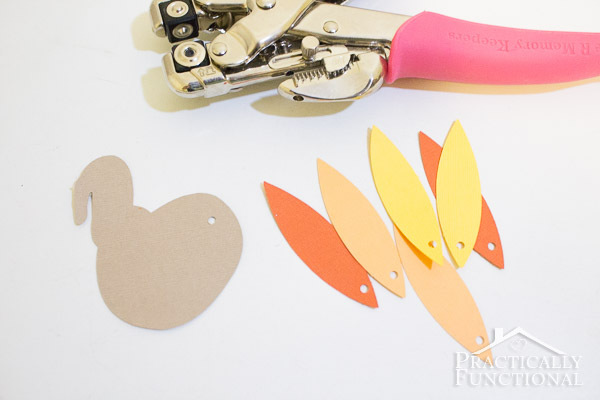 Using a small hole punch, punch holes in each feather and the back of the turkey. 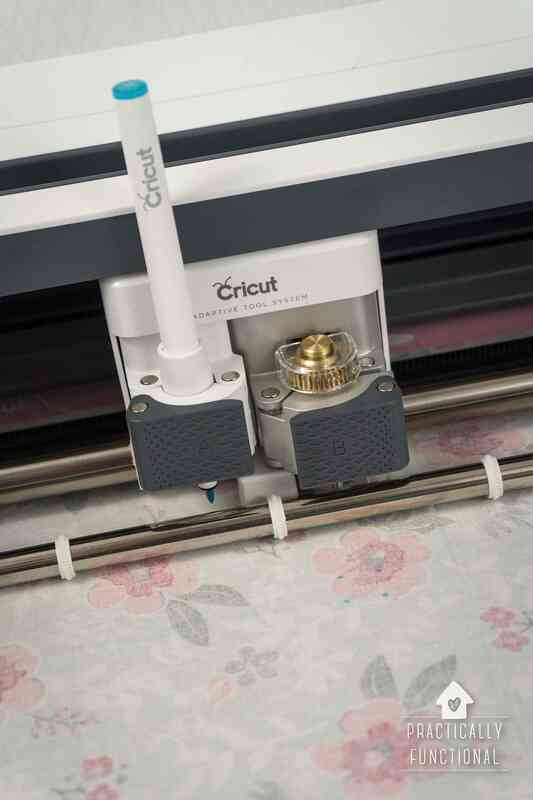 If you don’t have a hole punch, you can poke holes with a sharp pencil. Stack the tail feathers behind the turkey body, lining up the holes. Push a small brad through the holes and open the brad at the back to secure. 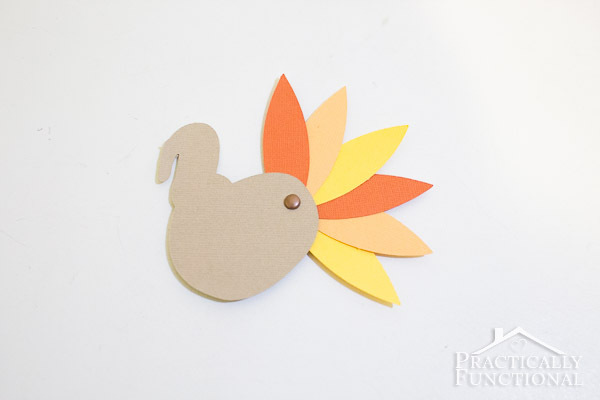 Fan out the tail feathers, and you have a cute paper turkey! 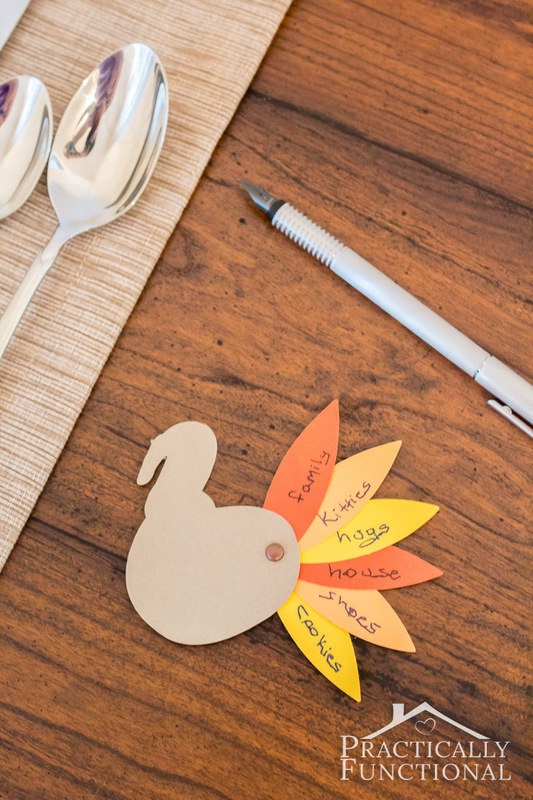 Set them on the table along with a pen or pencil so you and your family and friends can write down what you’re thankful for this year! 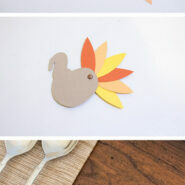 If you want, these turkeys can double as Thanksgiving place cards! 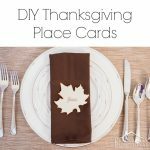 I made my own leaf-shaped Thanksgiving place cards this year, but if you don’t have place cards, just write each person’s name on the body of the turkey and set it on their place setting, along with a pen!